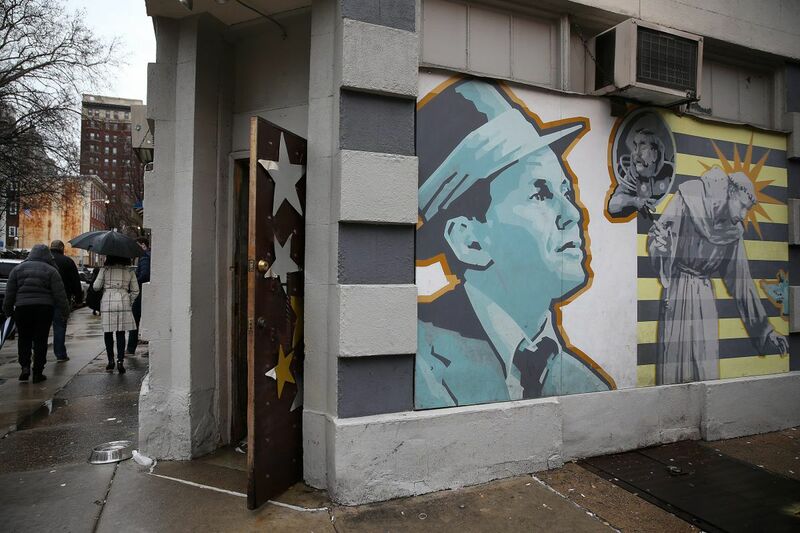 The exterior of Dirty Frank’s in Philadelphia. Dirty Frank's is hosting a block party Sunday to benefit longtime bartender and community arts activist Sheila Modglin, who was severely injured after she was hit by a car while crossing a street in Mount Airy earlier this month. Modglin, 56, was in critical condition with head trauma and broken bones following the accident on the night of the Eagles parade, and placed in a medically induced coma at Einstein Medical Center. She had just finished a shift at the bar and was headed to Mount Airy to dog-sit for a friend. On Sunday, Pine Street between 12th and 13th Streets will be closed to traffic so that the bar where Modglin has worked for more than 30 years can host the Sheila Our SunShine fund-raiser. Starting at 11 a.m. and running until 2 a.m., the event will have food trucks, beer, live bands, raffles and family-friendly activities like face-painting and sidewalk drawing. Sheila Modglin, a longtime bartender at Dirty Frank’s. The event's Facebook page says: "Without a doubt this will be the largest Dirty Frank's event ever don't miss it! History will be made this day please be respectful and share the immense love that Sheila has shown to all of us!" Anyone interested in donating time, music, food, art or raffle items can contact Modglin's brother, Rick, or Jody Sweitzer through the email addresses listed on the event page. Modglin is known to Dirty Frank's regulars as well as to members of the Upper Darby community, where she founded Sunshine Arts, a nonprofit program that provides art classes to local children. A GoFundMe account started two weeks ago for Modglin's medical costs has raised more than $20,000.